Thanksgiving is the one time of year when you can eat as much as you want and not feel guilty about it. Naturally, it’s one of my favorite holidays. There’s so much to choose from at Thanksgiving dinner; from turkey, mashed potatoes, and stuffing to arroz con gandules, ensalada de papa and jamon…well, I grew up in Miami, so that’s my tradition #fakehispanic. But at the end of the night with two (or maybe three) helpings, don’t you just feel like going into a food coma? We tend to blame it on the turkey because that’s our tradition too. 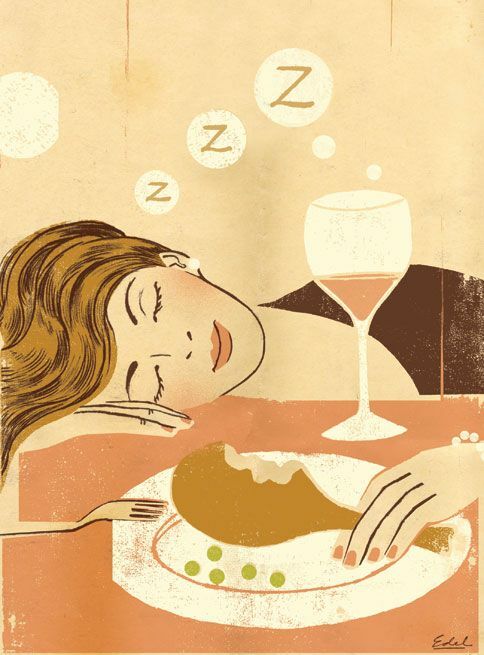 Eat lots of turkey and then blame our sleepiness on eating so much of it. What if I told you that our tradition of accusing the turkey for our “after-dinner hibernation” is just a myth? I know, mind blown. Now, before you go crazy like a headless turkey, just remember, I’m helping you out because who wants to miss out on the main course? So eating turkey can make you sleepy, but so can other types of meat like chicken or beef. Turkey has this amino acid called tryptophan, which our bodies use to build proteins and help us function properly. It’s used to make serotonin, which is a chemical that affects our sleeping patterns. So, we’ve found the culprit, right? Actually, no. Remember, lots of foods we eat contain tryptophan, other than meat, like eggs, fish, soy and spinach and I certainly don’t feel like dropping into a deep sleep eating tilapia. What makes eating turkey on Thanksgiving any different? Well, on top of turkey, we’re eating a lot of carbs, which triggers a release of insulin. These carbohydrates give us a higher amount of insulin than normal and with all the pumpkin pies, Snickerdoodles and pudding, we’re probably getting the highest levels of insulin we’re had all year. The increase in insulin is important because insulin helps amino acids to cross the blood-brain barrier, and thus, we get a rise in serotonin and melatonin in our brain. Because these both regulate sleep, we’re at a higher risk of getting a food baby and knocking out. Eating a lot can make you tired too, just saying. The real culprit isn’t turkey or tryptophan, it’s insulin (dun dun dun). I know, you feel betrayed and think that there’s no way to escape a food coma, so just give in. Unbutton your pants one notch, take a nap if needed and go back for dessert, because who wants to miss out on the one day a year where you can eat lots of turkey and gravy and top it off with the best dessert ever, flan (if you’re in Miami). 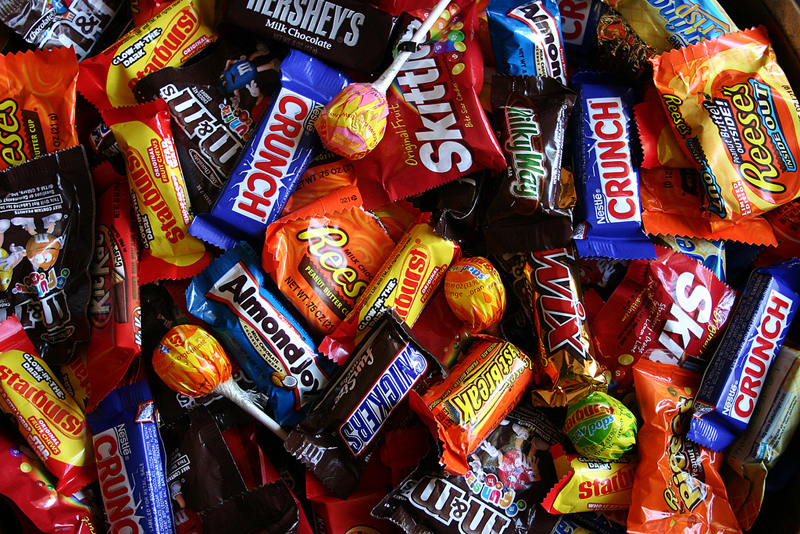 Candy actually can rot our brains. Cavities aren’t all we have to worry about for this sweet treat season, type 3 diabetes is hidden in those sweets too. Though these treats may be tempting and delicious, there’s a new reason that we may want to avoid eating them in excess. I’m sorry I have to be the one to break it to you, but we all have to face it sometime! We’ve been told time and again that eating sweets can cause weight gain and could eventually result in type 2 diabetes. Now, after a decade of research, there’s evidence to prove that these sugar-packed snacks may also affect our brain. I guess all that candy can rot your brain. An article from Women’s Health explains the concept of brain diabetes and how this could easily affect us. Neuropathologist at Brown University, Suzanne de La Monte, M.D., M.P.H. has worked with a team of researchers for a decade to uncover the truth about type 3 diabetes. The researchers found that insulin-resistant brain cells in rats caused them to show Alzheimer-like disease patterns, including neurodegeneration. First, let me refresh your memory on the process of insulin resistance. Every cell in the body needs glucose for energy, which you get from the food that you eat. Insulin is a hormone that’s produced in the pancreas, used to help cells take up glucose from the bloodstream for energy. When we gorge ourselves with candy corn and chocolate, there’s an excess of glucose in the bloodstream, so more insulin is created. But, your cells can potentially become resistant to the increased insulin in your body. When cells become insulin-resistant, they don’t get enough energy, so they deteriorate. Brain cells are easily affected by lack of energy resulting in memory loss and confusion, which are the trademark symptoms of Alzheimer’s. Does this mean that people with diabetes are at a higher risk of developing Alzheimer’s? According to The Hisayama Study from 2011, a group of Japanese researchers, say yes — obesity, diabetes and Alzheimer’s are all linked. De La Monte said in an interview with Women’s Health that since the obesity epidemic is expanding (and diabetes rates are soaring) these problems are sure to increase Alzheimer’s diagnosis in the U.S., which will stress our healthcare system and shorten our overall lifespan. So how can we avoid this diagnosis and potential epidemic? As a public health professional, De La Monte says the best way to reverse the problem is to prevent it completely. Stop the obesity epidemic and there will be fewer patients diagnosed with diabetes. It’s also never too late to safeguard your own health, either. The most helpful method to avoid type 3 diabetes and potential complications is to cut back on sugar. This doesn’t sound fun, but it doesn’t mean you have to eliminate sugar completely. By keeping sugar consumption to a minimum, you’re automatically at a lower risk of developing type 2 and type 3 diabetes. But just because you’re reducing sugar intake doesn’t mean that you should substitute those treats with other unhealthy foods. Remember that consuming other unhealthy foods can cause weight gain and obesity that not only affects your development of Alzheimer’s, but also increases your likelihood for developing other chronic diseases. So skip the candy apples and go for a real apple instead. It’ll taste just as good, be better for your teeth and better for your brain. Don’t over think it!